Fox Pest Control provides pest control in Henrietta and the surrounding areas. We take pride in providing exceptional customer service, and take to heart the feedback we hear from each and every one of our customers. 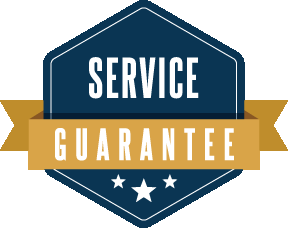 Below you’ll find our reviews, testimonials, and feedback from the home owners and businesses in Henrietta we’ve serviced. If you need a Henrietta exterminator, contact us today! Edward came to the house promptly and attended to my bee problem. He explained that there we several different types of bees and wasps that were inside my siding. He also explained what he was going to do to eliminate the problem He was efficient, quick, professional and was a pleasure to speak to. Kudos to Edward for his work. Thank you. Also, wanted to add that some of the bees had come back recently so I called Fox and Christian came out for no charge and did a great job explaining what he was going to do to finish off the last of them. Thanks to Christian. Joey did a wonderful job! Thorough and informative, he took the time to explain in detail his process and the products he used. He removed a small hive and sprayed for our concerns. Great job! Kali was very professional, personable, and a delight to work with. Beat me to my home and set about her job right away. Well versed and asking many questions so that she was sure to get to every spot that I needed. She explained everything she was doing went over everything she had done and urged me to call immediately if I found any issues that needed to be addressed. Got to know her a little bit in our conversation and discovered that she is clearly intelligent and very industrious. This was our second quarterly with Fox pest control and I am impressed with the quality of service. Today Edward came and really took time in areas I was concerned about, including a peek into our attic. He was professional, patient and kind with our child. I'm happy to have found this company -and our outdoor pest activity has diminished greatly. Dimick did a great job! Dimick was very knowledgeable and professional in his application of pest control products inside and outside our home. I'm a new customer and would recommend Fox Pest control to friends and neighbors. Fox pest has been wonderful! Very knowledgeable, and friendly staff. We had a big problem with wasps and yellow jackets, and have not seen one since the first treatment! Really recommend them, we are very pleased!